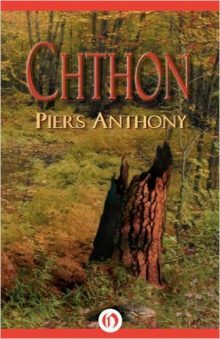 Chthon was Piers Anthony’s first published novel in 1967, written over the course of seven years. He started it when he was in the US Army, so it has a long prison sequence that is reminiscent of that experience, being dark and grim. It features Aton Five, a space man who commits the crime of falling in love with the dangerous, alluring Minionette and is therefore condemned to death in the subterranean prison of Chthon. It uses flashbacks to show how he came to know the Minionette, and flash-forwards to show how he dealt with her after his escape from prison. The author regards this as perhaps the most intricately structured novel the science fantasy genre has seen. It was a contender for awards, but not a winner.